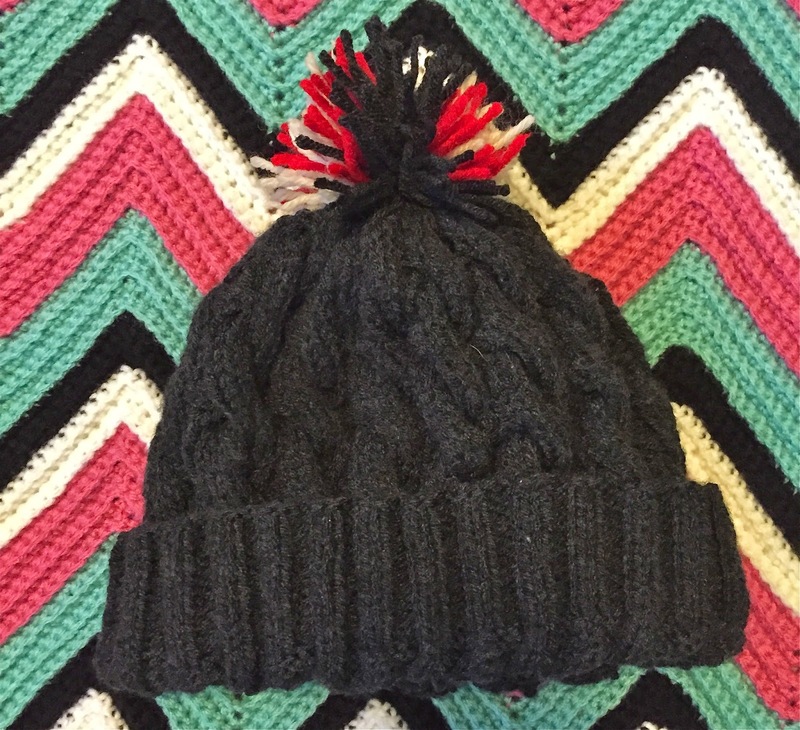 This year, my go-to gift for Christmas is knitted gifts. For the Christmas party for running club, I was hoping I would get a girl so that I could make her some mittens and a cowl. Unfortunately, I had to get a boy for the gift exchanged, so I headed to Ravelry to find the perfect hat to make him. I knew I wanted a cabled hat to show off my awesome knitting skills, so I decided to go with the Close Cables Hat. I had no idea what kind of yarn I wanted to use, but when I saw this Sincerely by Pearl Essence yarn in JoAnns and felt how soft and thick it was, I decided to take a chance and see how it turned out. And you know what? It was perfect! I spent about 10 hours working on this hat and I thought it would never end. Countless episodes of Supernatural later, though, it was finally done! The original pattern says to cast on 80 stitches, but many of the projects on Ravelry said that it turned out a little small, so I decided to cast on 120 stitches and add another set of the cable rows. I'm so happy I did because it ended up big enough to fit a guy's head comfortably. 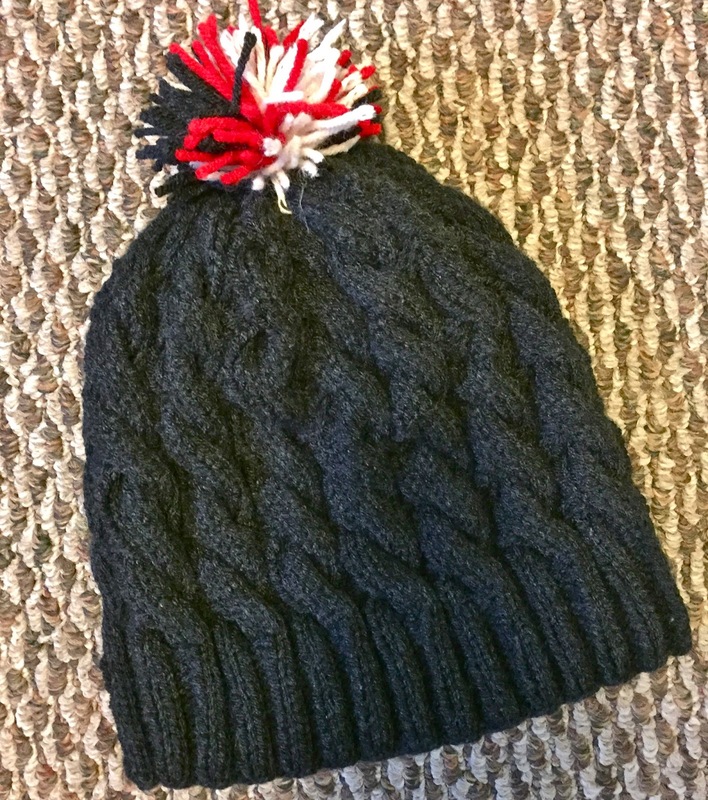 It did a gray, white, and red pom pom for our school's colors and it turned out great! Needless to say, I love how this hat turned out and I was kind of sad to have to give it away. The person I gave it to loved it and everyone was definitely impressed that I made the hat. Little do they know, cables are actually super easy and the hardest part is having the patience to spend so many hours getting it done. I'm definitely going to make one of these for myself now! Last month, my cousin gave birth to two adorable twins named Scarlett and Grayson. The babies were born very premature, but as of now they are staying strong and doing well! I had planned on having these blankets done for her baby shower in mid-November, but school got in the way and I didn't have the chance to finish the blankets until a month later. But now they're finished and I absolutely love them! I knew that I wanted to make the babies blankets for the twins, but I had the hardest time deciding what to make them. Granny Square? Striped? There were so many possibilities! 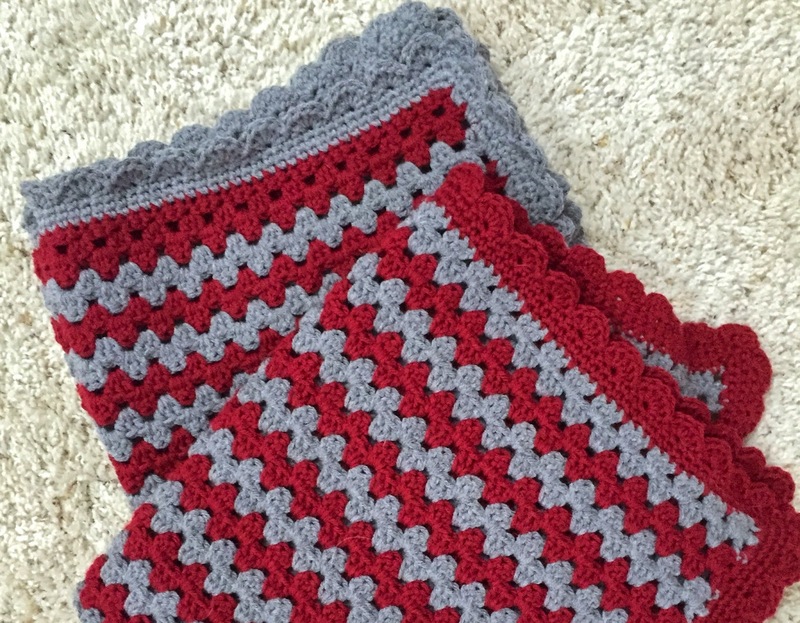 But when I found the pattern for this Granny Stripe Baby Blanket, I knew that I had found the one! The border definitely caught my eye when I decided to make this blanket. I love the scalloped edges and the stitch was so easy for such a cute finish. My cousin and her husband are huge Ohio State fans and both met while students at Ohio State, so they named their babies in honor of that. 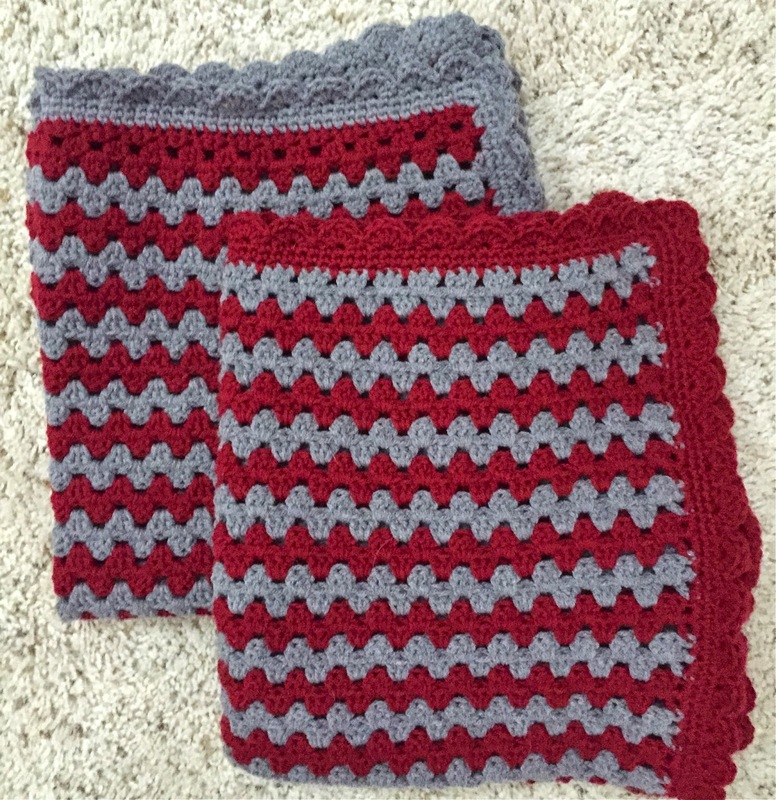 I decided to make identical blankets for the babies, but a gray bordered one for Grayson and a scarlet bordered one for Scarlett. I'm planning on giving these to my cousin when they visit for Christmas and I can't wait! I know they're going to love them! Scarlett and Grayson are the first babies in our family, so I am beyond excited to knit them as many gifts as I can! Maybe hats next? Oh, the possibilities! Ever since I started knitting almost three years ago exactly (I learned over winter break my freshman year of college), I have made quite a few scarves. There's only one pattern, though, that I keep on going back to and have made five times now, three of which were for myself in different colors. 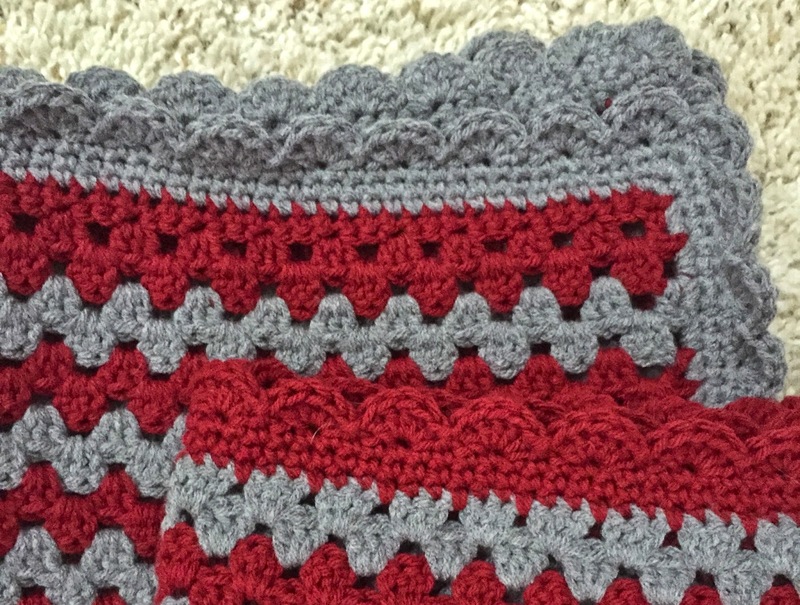 The pattern is just so easy to do and I absolutely love how it turns out in the end. And what scarf is that? The Brioche Infinity Scarf. With Christmas slowly but surely approaching, I've been making a list of the gifts I want to make this year and this scarf is definitely making an appearance. I've already made one in blue for my brother's fiancé and am currently making a red one for my friend to give her friend for her birthday. 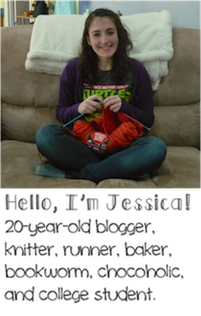 While it definitely takes hours of knitting time, the stitch is so easy once you get started that you can do it while doing pretty much anything. 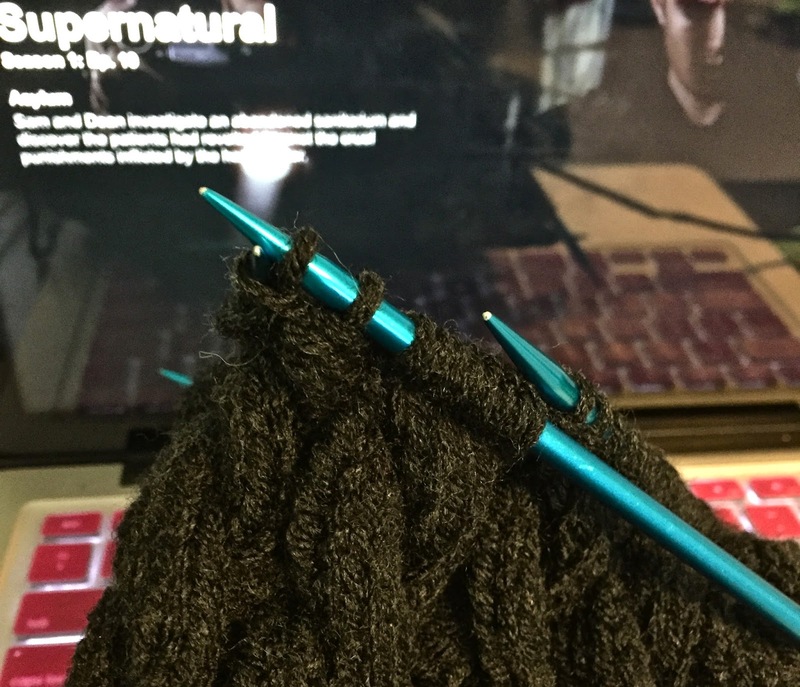 I even spent about 2 hours knitting in the dark on my van ride home from nationals (darn day lights savings and the sun going away at 6pm) and only had to backtrack twice because I had accidentally dropped a stitch. Other than that, I had no problem working on the scarf and it turned out beautifully! Do any of you have your go-to patterns you make whenever you need to make a gift or just something nice for yourself? Running is hard. As much as I say that I love to run, there are moments where I absolutely hate it. No matter how hard it gets, though, I know that I could never quit running. This past weekend, I went with my teammates from the running club to Nationals in East Lansing, MI. We drove over 5 hours to run in 20-30 degree temperatures to compete against schools from all over the country. The top 7 runners from each school competed in the A race while the rest of the teams competed in the B race. Since I'm definitely not the fastest person on my team, I competed in the B race and it was an experience I will never forget. Lining up with over 200 girls, I ran the fastest I've ever run. My first mile came in at 6:45 and I maintained an average pace of 7:18 overall for the 6k race, placing 92 out of 214 runners. While this is not all that impressive in the racing world, I am so proud of myself for my time. What I'm most proud of myself, though, is how I never gave up or slowed down. My quads ached with each step and I had so much time to think about exactly what I was doing and I hated myself for voluntarily trying to run as fast as I could for 3.72 miles. But I stuck through the two laps around the never-ending golf course in the freezing weather, my nose dripping and lungs frigid with the cold air. There's nothing better than that feeling of crossing the finish line and realizing exactly what it is you have just done, no matter how much you hated yourself while you were doing it. 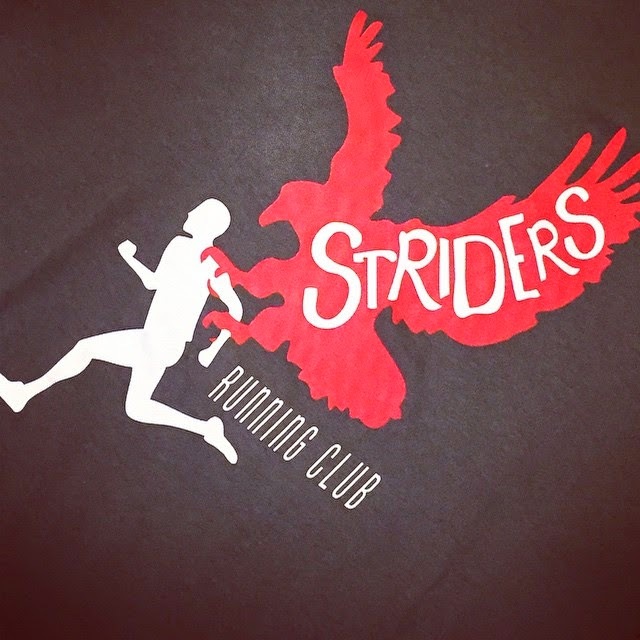 That's running for you. Words can't even begin to describe how happy I am that I decided to run my freshman year of college. In the three years that have passed, I have run two half marathons and too many races to count. When I was in high school, I could have never imagined being able to run 13.1 miles or running a 6k with an average pace of 7:18. Running has become my passion and I am so happy to be able to call myself a runner. Sure I have bad days and races are incredibly challenging on both the body and the mind, but the rewards from running are worth those hard times. There's nothing better than finishing a challenging race or achieving a new PR. My body is so much stronger thanks to running and, by running everyday, I know I'm leading a healthier lifestyle than I've ever had before. Running has made that difference. I've only been running for three years, but I know I have many more years as a runner ahead of me. I can't wait for the races and the miles to come. 2. This Chunky Knit V-Neck Cardigan looks SO COMFY. And I absolutely love those elbow patches. 3. Are these Clever So Sweet Flat in Red not the cutest pair of shoes you've ever seen? 4. A Moustache Doormat? Yeah, I definitely need one of these in my life. 5. Since The Princess Bride is one of my absolute favorite movies, I definitely need to get my hands on a copy of As You Wish: Inconceivable Tales from the Making of The Princess Bride. What's life been like lately? Homework. Classes. Clubs. Meetings. More homework. I'm so sad I haven't been able to take the time to blog these past couple of weeks. If I have any free time, I'm either reading or blogging on Peace Love Books. I've missed this blog and really want to get back in the swing of things. While I still have lots and lots of homework to do now and between the end of the semester (only a month left! ), I'm going to try to pop in and update what's going on with me much more often. Sorry for being MIA, but hopefully you'll be seeing a lot more of me this week and the weeks to come!